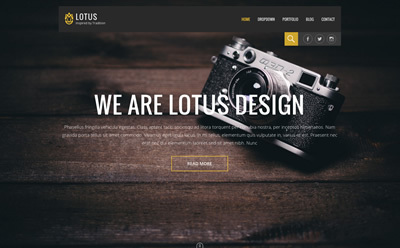 Lotus is a modern, 100% responsive WordPress theme that will display great on all devices. This theme is packed with features while maintaining a balanced design with carefully crafted layout for each section. In the front page you have the ability to feature content, display your blog, portfolio or a static page. Featured content in the Front Page. Display featured images for each post or page.